Can You Name The Top 5 Battle Slots To Play Online? Everyone loves a good battle game with a challenge. But battle themed slots come to you with huge prizes too, making the time you spent playing is not time wasted. Battle theme being one of the most popular among slot creators, we decided to find out which of those games are better to play online. MoneyReels staff played many of the popular battle slots games for long durations, analysed data, and prepared a shortlist of the best contenders before creating the final list taking into consideration the player comments too. You are invited to check them out and let us know what you think of them so that your opinion would matter in our future rankings. 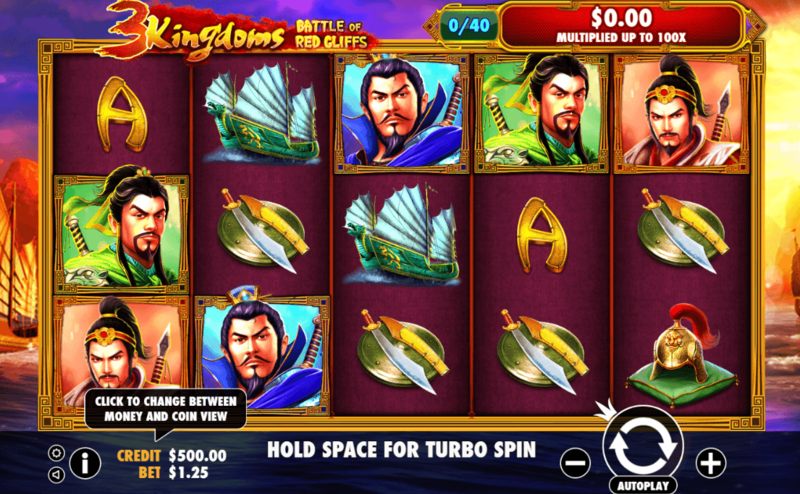 Based on the heroics of warriors of ancient China, 3 Kingdoms - Battle of Red Cliffs slot game has 5 reels and 3 rows of colourful symbols and 25 paylines to reward you at its generous 96.5% of RTP. In addition there is a Progressive Prize too to be won. The 3 generals will bring their armies as full stacks on their reels when they clash. That might do maximum harm to the enemy, but for the slot player Full Stacks means big wins. Bet from £0.25 to £125, and win up to 1000 in the base game. And there are Free Spins too. The Progressive Prize will get bigger by 2% with every bet made. This is one of the best slots of its kind. 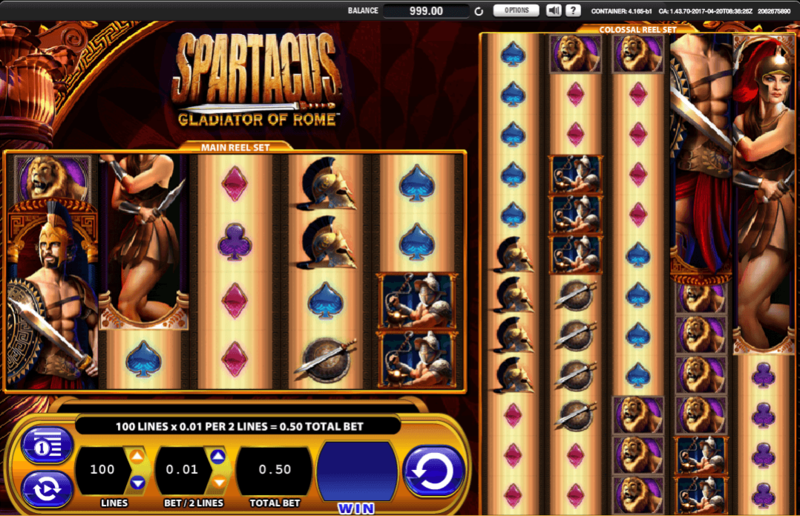 Spartacus online slot comes armed with 2 sets of reels. A 5x4 reel set and a colossal 5x12 reel set bring you luck on 100 paylines in this fabulous slot machine. The RTP is a rather modest 95.94% but you also get up to 20 Free Spins. Better still, the Free Spins award up to 5x bets in calculating the Free Spin wins! And you can play for fun or big wins choosing anywhere between the minimum and maximum stakes of £0.10 and £250. This slot machine is definitely as fascinating as Spartacus himself. The Greek god brings you a heavenly RTP of 97.17% as he appears before you. The minimum bet is £0.20 if you are playing for fun, but if you trust the prophetic god then a maximum bet of £200 could be yours to win big. On its layout of 5x2, the Apollo God of The Sun Slot has 20 paylines to reward you. Sometimes the Almighty Sun base game can be your favourite, but the mini games Bonus Pick Me and The Eternal Flame can be where you experience the prophetic god’s celestial rewards. This could be one your favourite slots to be. The Barbarian, The Priestess, and The Samurai will battle it out while you will be getting rich as their battle axes and katana clash. This 5 reel 3 row slot machine brings you winning combinations across 30 fixed paylines at the RTP of 96.89%. A Wild that incorporates its own prizes, a Random Overlay Wild that comes in 3 forms, and 3 different Scatters are some of the highlights of this game. But do not forget that there is the Battle, Final Chance, and Free Spins too. 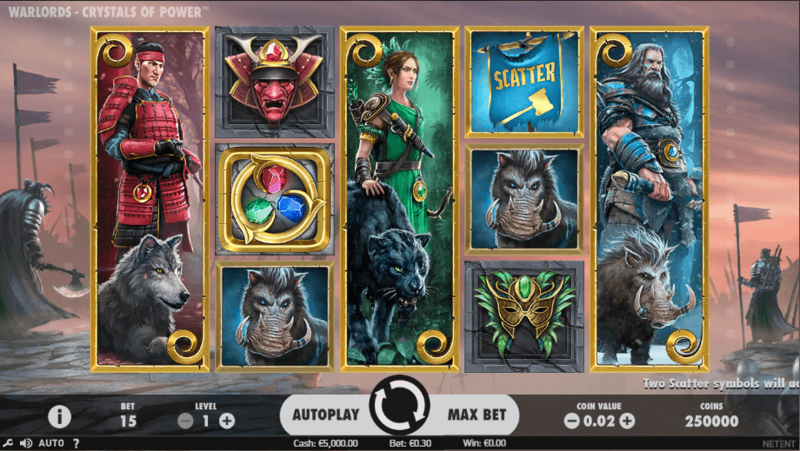 Filled with features, the Warlords – Crystals of Power UK slot is one of the top 5 battle slots to play on MoneyReels. This is about Romans at war. Beautifully crafted, the game has 5 reels and 3 rows of symbols that awards prizes across 20 paylines at an RTP of 95%. But the 8 Bonus Games tells you that this is much more than meets the eye. Prizes on Parade, Road to Rome, Wild Power Spins, and Caesar's Free Spins are some of those fascinating features but when you start playing you will find that this is a game for entertainment as well as for winning big. 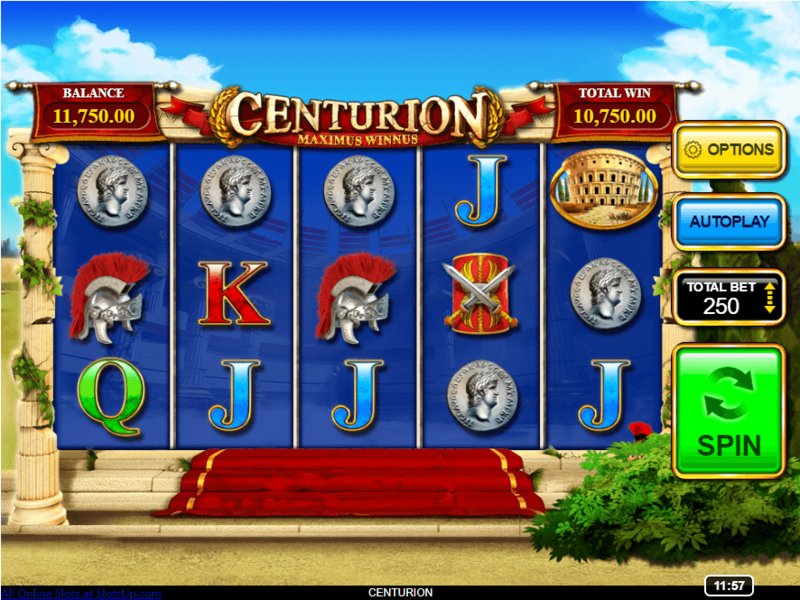 The Centurion Slot Game won a place in our top 5 battle slots to play online.